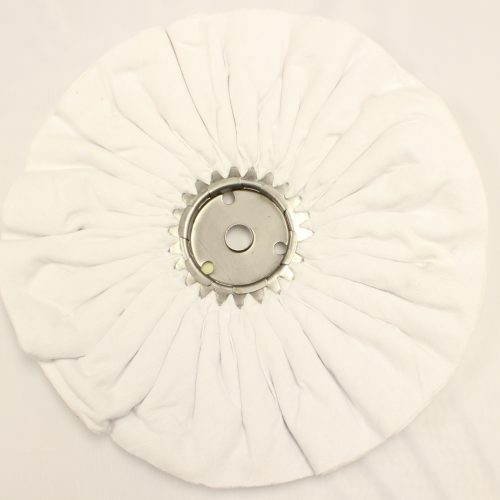 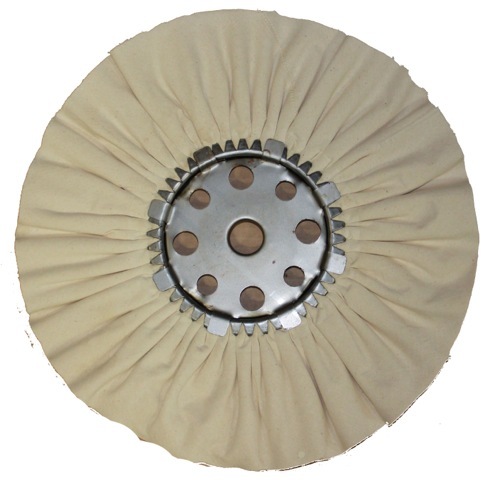 This 12” diameter ultra-soft airway buffing wheel is perfect for final polishing of wood coatings, including lacquer, polyurethane and polyester. 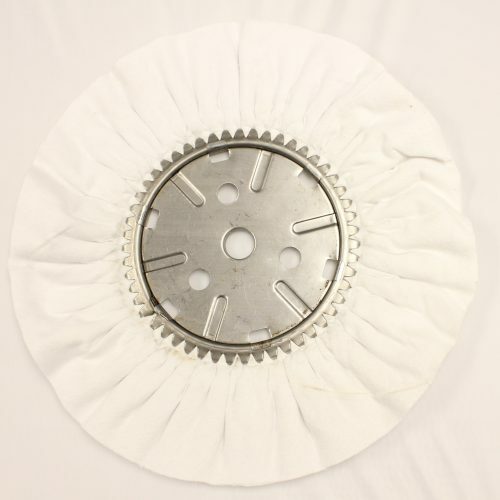 Typically used with Menzerna compounds W16, ATOL6, G35T, G15B, and P175 to achieve an excellent high gloss surface quality. 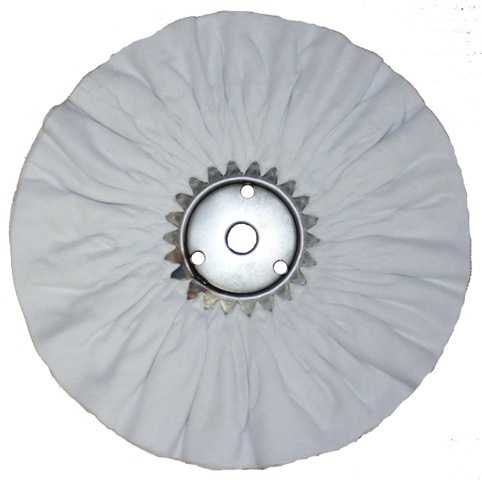 Fit arbors of 0.75” diameter, and requires flanges of 4” to cover the 3” metal center plate (not included).